Last year, Prophets of Rage released their debut EP,The Party’s Over, and hit the road together for the very first time. Now, the mighty political supergroup comprised of members of Rage Against the Machine, Public Enemy, and Cypress Hill is readying its first full-length album. Due out September 15th, the self-titled record spans 12 tracks, including titles like “Radical Eyes”, “Legalize Me”, “Hail to the Chief”, “Strength in Numbers”, and “Who Owns Who”. 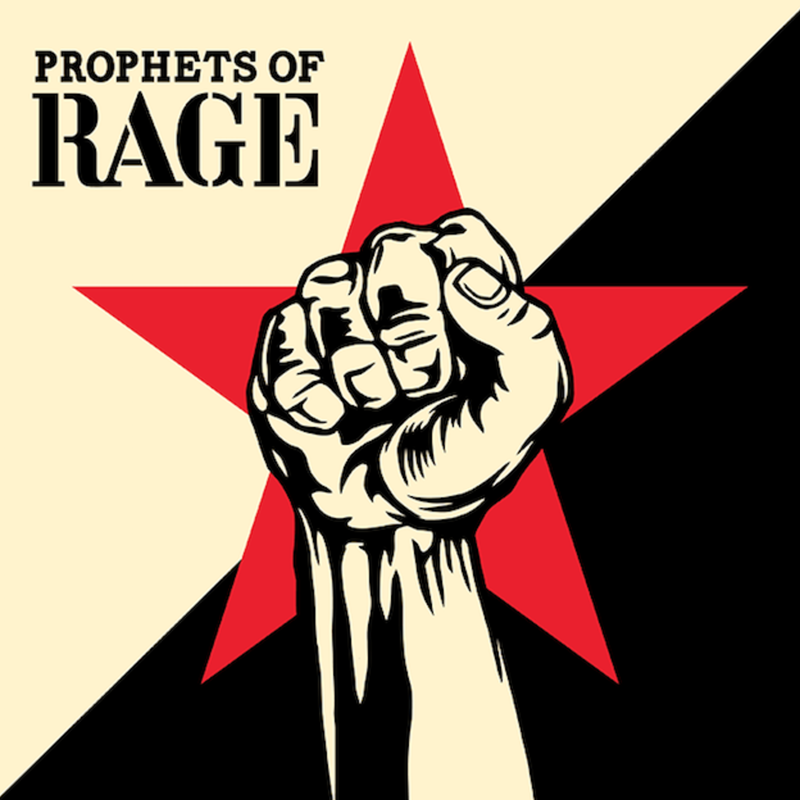 Prophets of Rage were joined in the studio by veteran producer Brendan O’Brien (Pearl Jam, AC/DC, RATM). As a first look at the LP, the band has let loose its lead single, “Unfuck the World”. The raucous number also comes accompanied by its music video, which was helmed by renowned director Michael Moore. As to be expected from the politically-charged Prophets of Rage and Moore, the clip features plenty of footage of Trump, protests, drone strikes, the Flint water plant, and yes, even that one Pepsi ad. Check out the video below, followed by the album’s artwork (created by Shepard Fairey) and full tracklist. Album Review: Roger Waters – Is This The Life We Really Want?